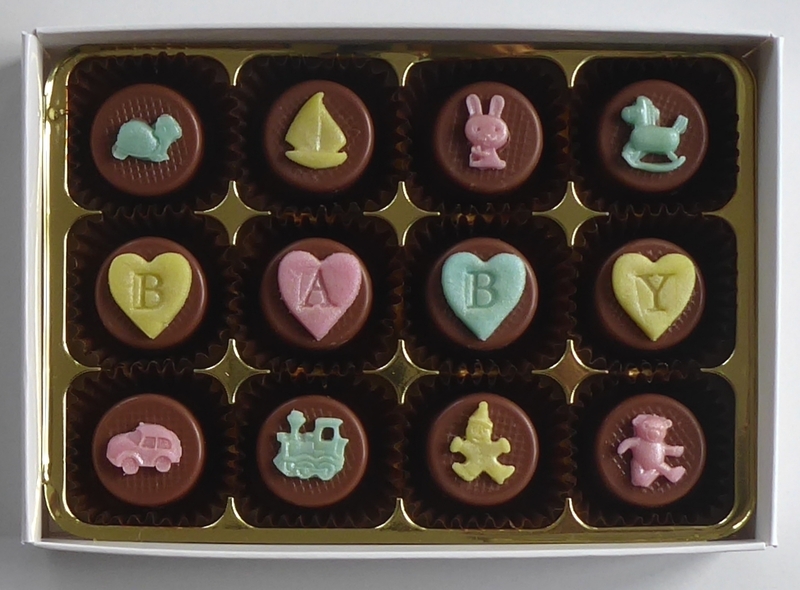 If you're going to a baby shower and want to take a gift to spoil the parents to be, this box of delicious handmade chocolates could be just the thing! 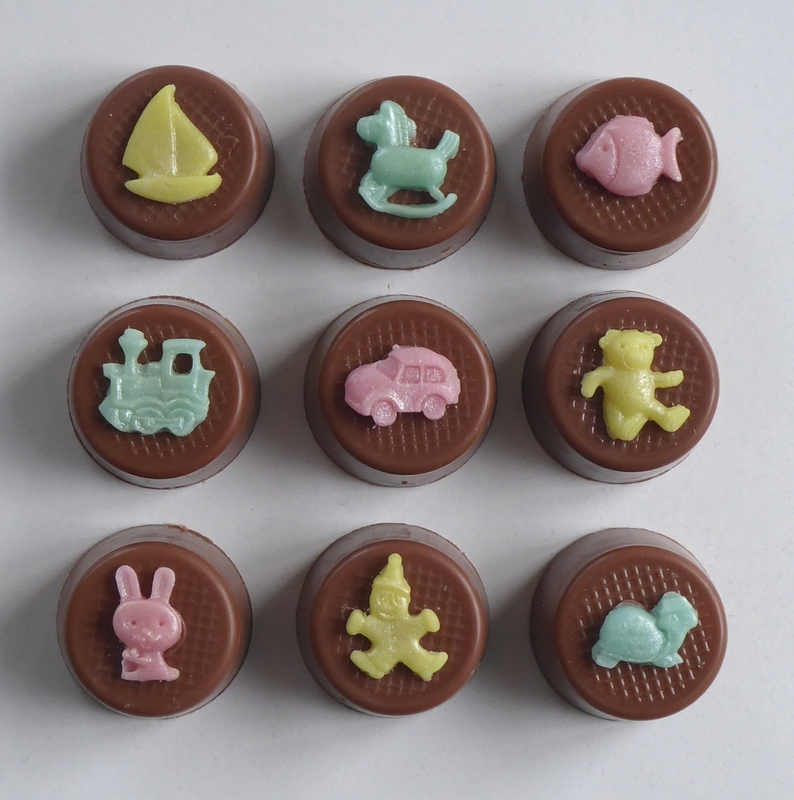 Choose the colour with a choice of fillings decorated with pretty nursery symbols. 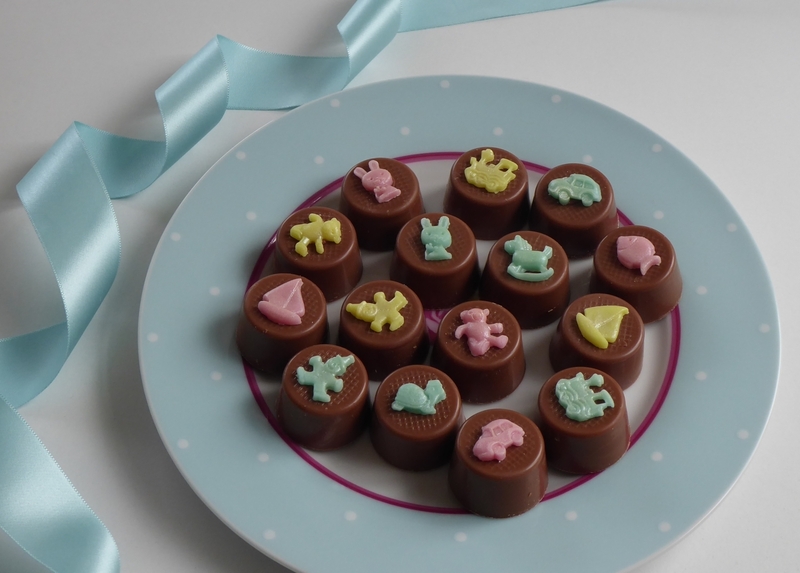 Add a name to the 48 box for a baby shower gift that's sure to be appreciated. Copyright © 2018 Happy Chocolate Days. 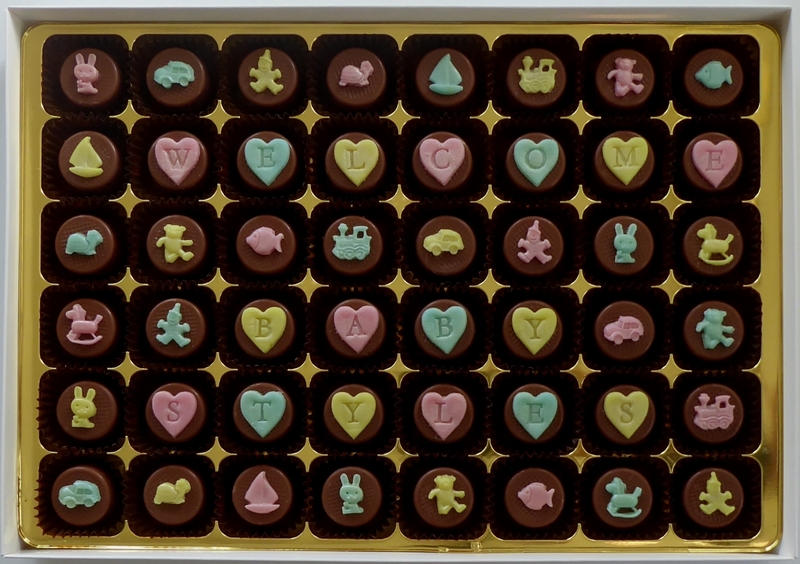 Copyright © 2019 Happy Chocolate Days personalised chocolates. Powered by WordPress. Theme: Accelerate by ThemeGrill.